Good communication is essential to the success of any event. In our global society, multilingual events are becoming increasingly popular and language barriers could easily hinder the success of your international event. Whether you are organizing a business conference, a sporting event or a film festival, the assistance of a reliable translation service will be essential to ensure that communication is flawless and all the participants get their message across. Translation Services UK provides experienced event translators and interpreters to assure the success of your multilingual event or conference. Our translation agency is pleased to offer truly end-to-end service that meets every requirement of every event. Along with our translation services, we provide professional interpreting, transcription and summary-writing services. If you want to keep a full recording of your event, we can provide you experienced transcriptionist in the language required. Quick Lingo only uses qualified native translators and interpreters to match and exceed your expectations. We have translators around the world that can provide local service wherever you may be holding your event. Our team can also assist you with Public Relations tips to ensure the success of your event. 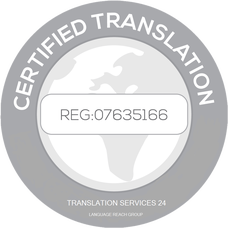 All of our translations follow strict quality assurance procedures to guarantee that the translated material is linguistically accurate. We have designed our project management process to ensure that our translators use the right terminology and consequently deliver a high-quality translation and interpreting service. Translation Services 24 respects and protects the privacy of the individuals and organizations that use our translation services. We can ensure that all documents received and delivered by our agency remain confidential. To learn more about our translation services for Public Relations or free consultation, call us on +44 (0) 208 133 5255 or send us an email.